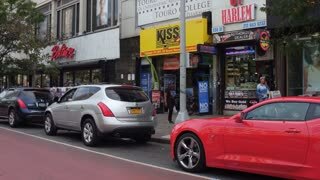 NEW YORK CITY - Circa October, 2017 - A daytime overcast establishing shot of typical midday Harlem traffic and storefronts. A sliding tracking shot of two subway trains in Harlem as seen through a chain link fence. Shallow depth of field. 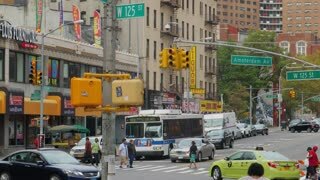 A New York City subway train passes by Harlem apartment buildings and a corner liquor store on an elevated track. 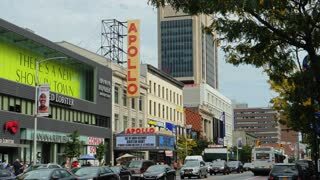 NEW YORK CITY - Circa October, 2017 - A daytime overcast exterior (DX) establishing shot of the famous Apollo Theater in Harlem. A New York City subway train passes by Harlem apartment buildings on an elevated track. Two New York City subway trains pass by Harlem apartment buildings on an elevated track. 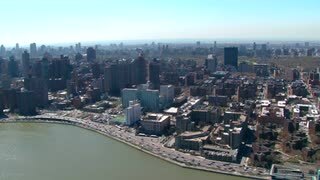 An aerial flyover view of the northern end of Manhattan on a summer day. 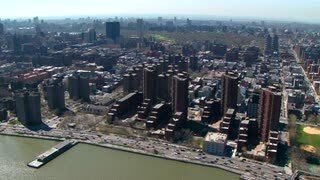 Harlem and the top area of Central Park is visible. 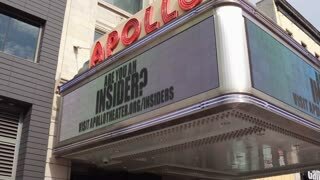 As viewed from a plane landing at La Guardia Airport. Two Harlem bound subway trains pass each other in upper Manhattan on an elevated track on Broadway on a summer day. 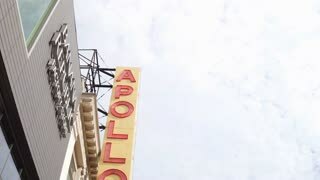 Aerial footage of Harlem, NYC. Drone footage shot during the autumn of 2016 in the north end of Central Park. Subway sign for 110th Street in New York City (NYC) USA. A tile mosaic from a time long ago. NEW YORK 3 TRAIN DEPARTING IN FAST FORWARD. Epic slow drone pan up reveal of New York City skyline at gorgeous sunset golden hour from the top of Central Park in the Harlem neighborhood. in 4K. Epic drone flyover of New York City's Central Park Onassis Reservoir with great view of 5th Avenue and the Upper East Side at dawn daybreak sunrise blue hour. in 4K. Long drone flyover New York City's Central Park with Harlem Meer and Onassis Reservoir in view under the skyline at daybreak dawn sunrise blue hour. in 4K. Stationary drone shot of the New York City Skyline from Harlem looking down through Central Park at daybreak dawn sunrise blue hour. in 4K. Epic drone flight into New York City's Central Park from the Harlem neighborhood at gorgeous sunset golden hour. Ice skaters and ball fields come into view. in 4K. Gorgeous sunset drone flyover the top of New York City's Central Park. in 4K. 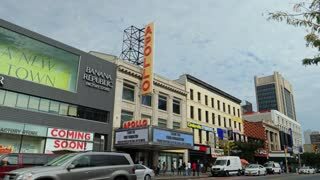 Epic drone rise over New York City's Harlem neighborhood at gorgeous sunset golden hour. Manhattan skyline comes into view as well as Central Park. in 4K. Drone settles down into cluster of buildings in New York City's Harlem neighborhood at daybreak sunrise golden hour. Nice skyline silhouette. in 4K. Epic drone slide over the top of New York City's Central Park at gorgeous sunset golden hour. Rotating view of the Upper East Side skyline while the gorgeous red sun stays as a focal point. in 4K. Slow drone flyover the north end of New York City's Central Park. Ball fields, Harlem and the Upper East Side in view at daybreak dawn sunrise blue hour. in 4K.